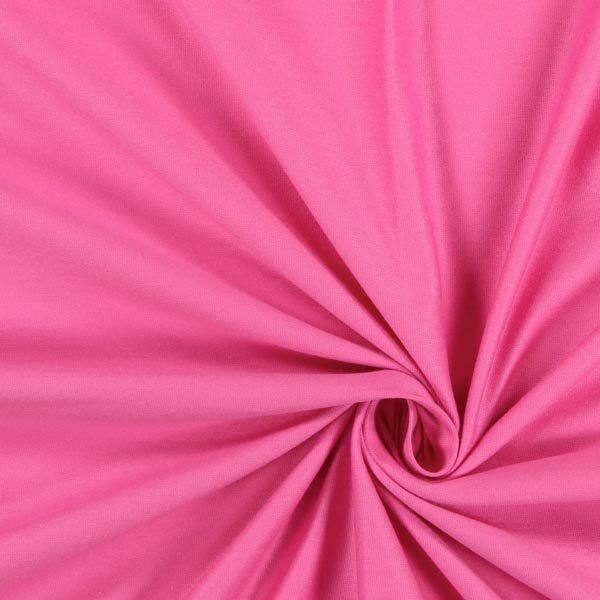 Jersey fabrics at myfabrics.co.uk – in over 25 colours! 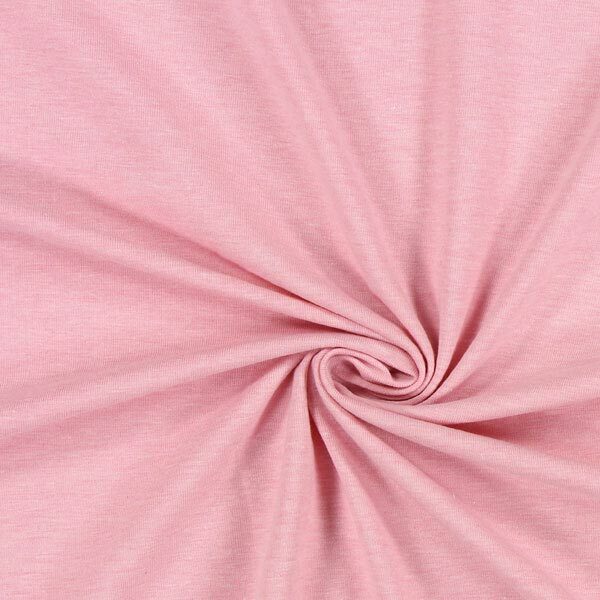 Stretchy and comfortable – these are the characteristics that set apart clothing made from jersey. 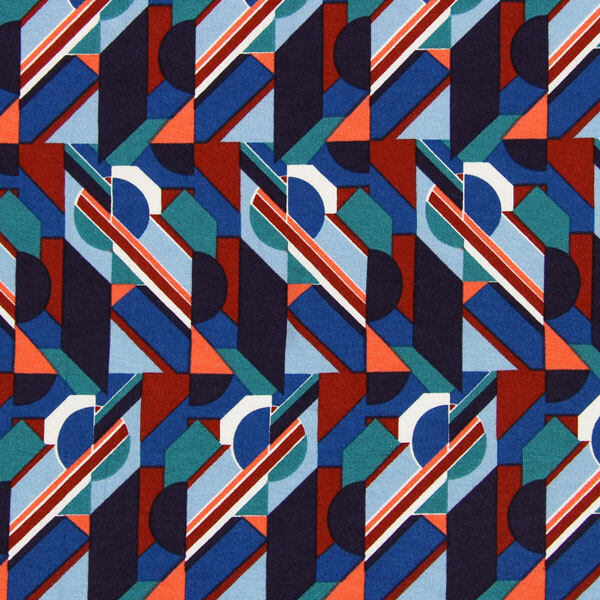 Regardless of whether you’d like to sew shirts and leggings for the new season or if a patterned fabric in your fabric cupboard needs a solid-coloured counterpart to set it off. 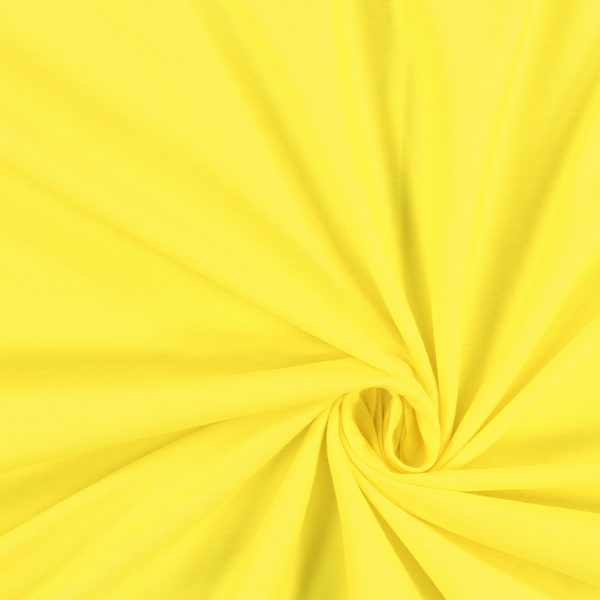 At myfabrics.co.uk, you’ll find solid-coloured jersey fabrics in five qualities and over 25 colours. 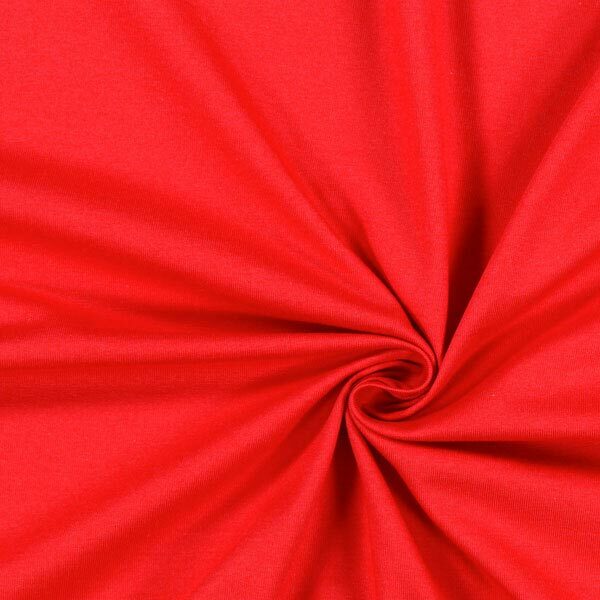 From lightweight viscose jersey for softly draping tops, or the somewhat more substantial romanit jersey... the selection will thrill you! You can never have enough shirts in a child’s wardrobe. If one of the jersey shirts that you’ve made yourself has become an out-and-out favourite, just set about sewing another in a larger size. 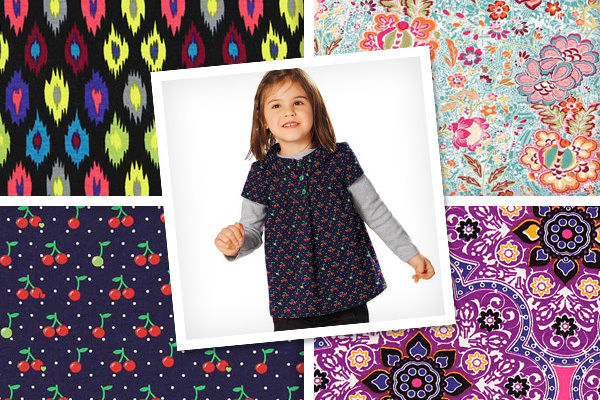 You can bet that your favourite child will be thrilled at not having to give up a shirt that’s become a favourite just because it’s become too small. 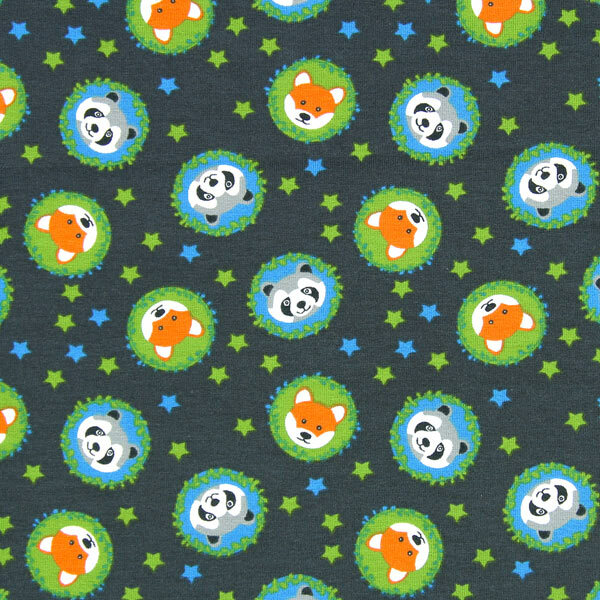 The range of children’s jersey fabrics ranges from GOTS-certified, solid-coloured cotton jerseys, through jersey fabrics sporting Minions or Frozen motifs, right through to fantasy motifs in a riot of colours! Discover the huge range now! 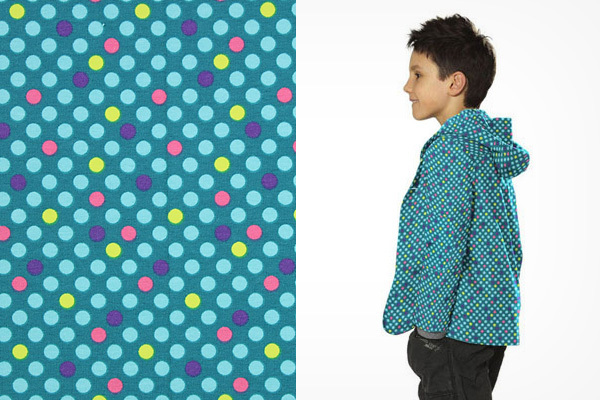 Have you already made yourself a coat? And trousers and skirts as well? But is there something that’s still missing in your autumn wardrobe? Perhaps you’ve woefully neglected to add in some tops? 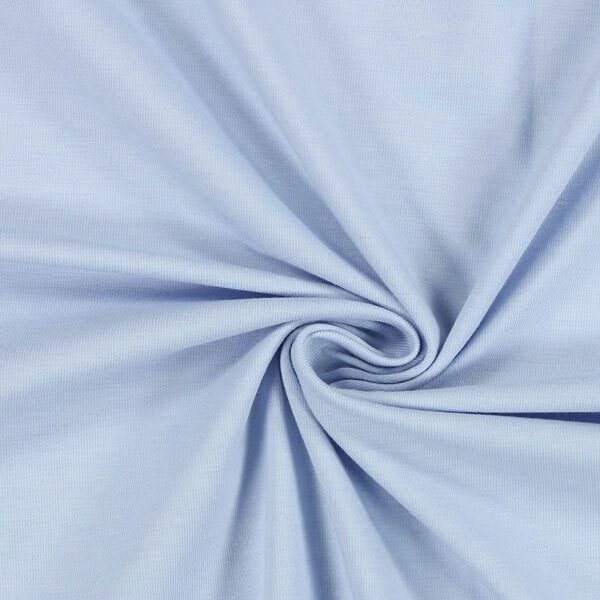 Combat your top-deficit now by making some new shirts from our autumnal jersey fabrics. 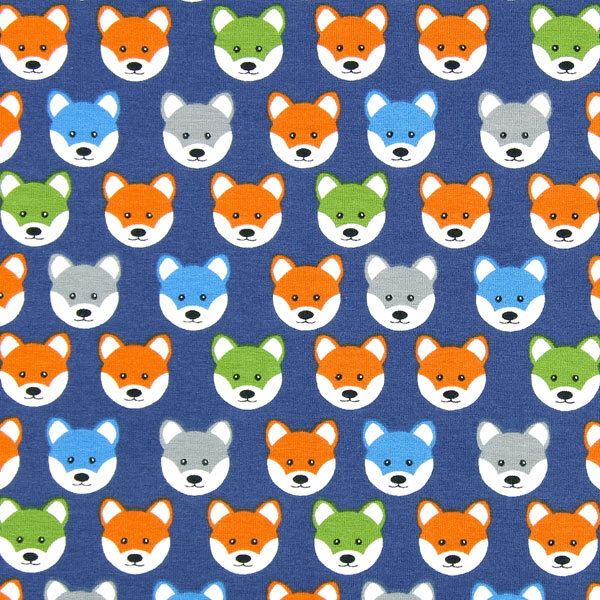 Most of the jersey fabrics are part of a collection and are only available until the beginning of next year. 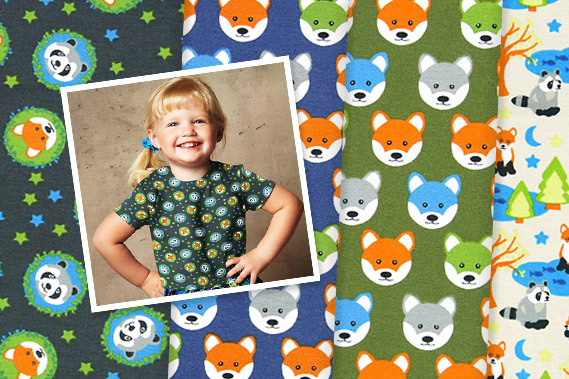 And you can work jersey with your household sewing machine, too. 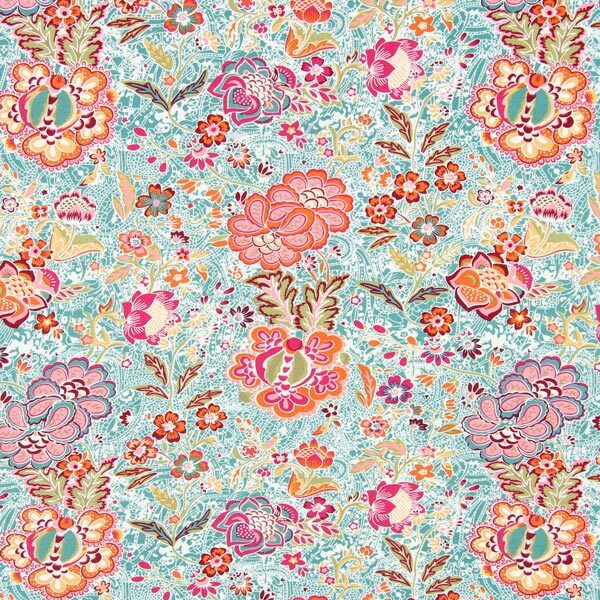 A jersey needle and having a read-through of the sewing machine instructions will help; you’ll find tips on how to best sew jersey using your machine. 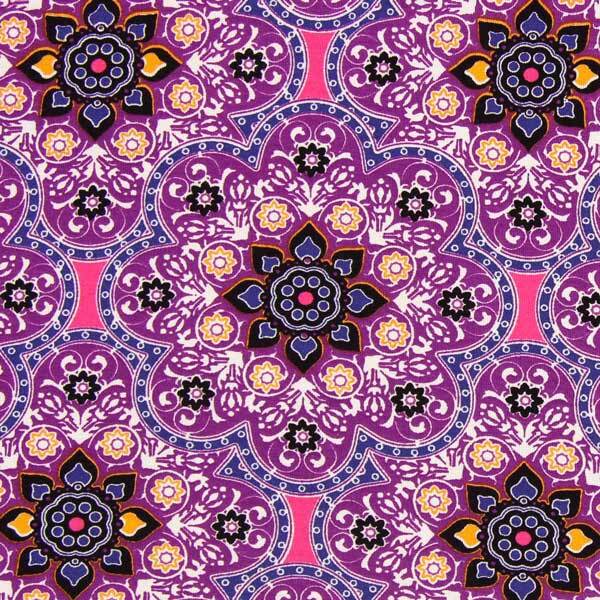 In the sixties, these motifs weren’t just used on fabrics; no – they also adorned wall coverings and carpets. 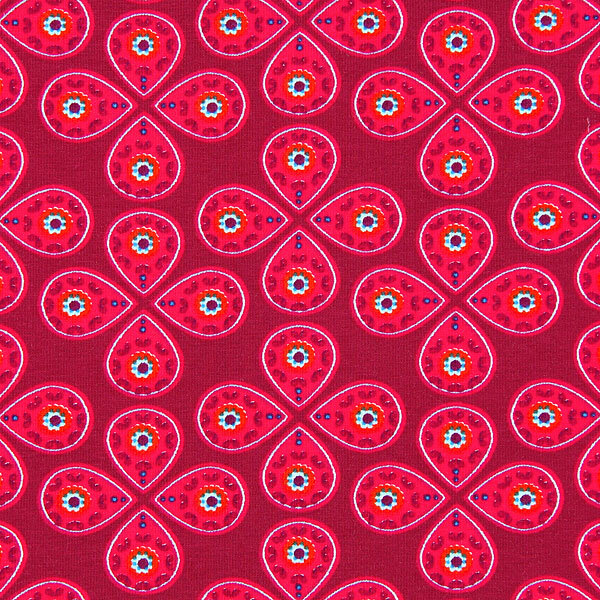 Since retro is once again a buzzword in the world of fashion, there are a host of motifs among our fabric collections that bring the sixties to life. And so you can make yourself an authentic mini-dress that would meet with Twiggy’s approval, too – and you can do it all on your own! 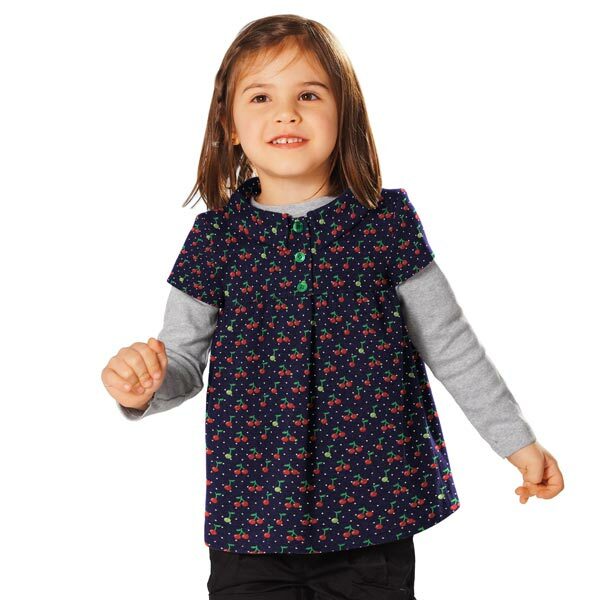 You’ll find the dressmaking pattern and the fabric at myfabrics.co.uk! 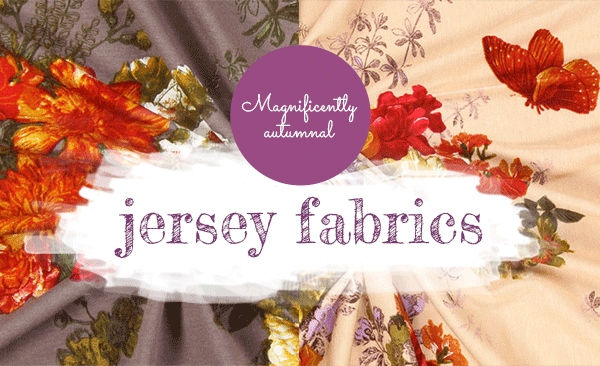 Could your fabric cupboard use a few new additions in the jersey section? 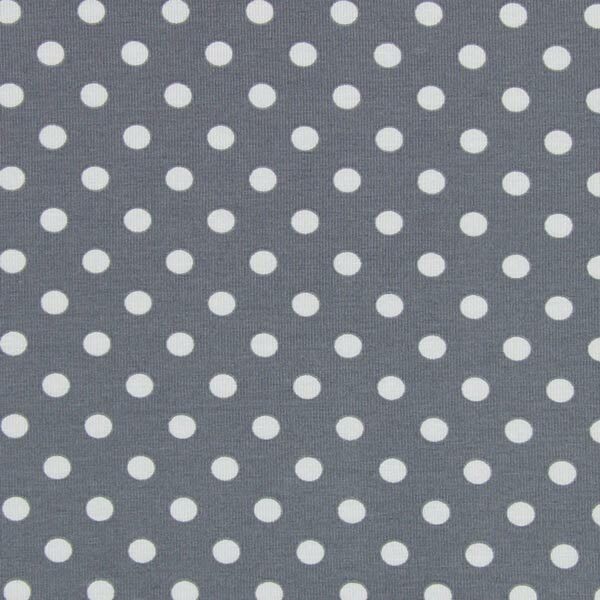 If so, browse our selection of jersey fabrics just in. 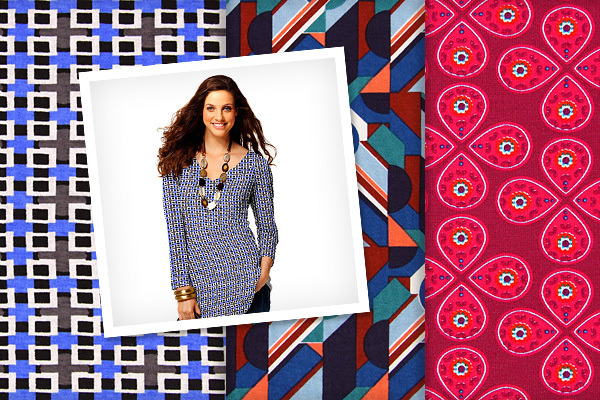 From abstract ikat patterns, through lovely cherries, right through to floral motifs – we’ve got it covered! 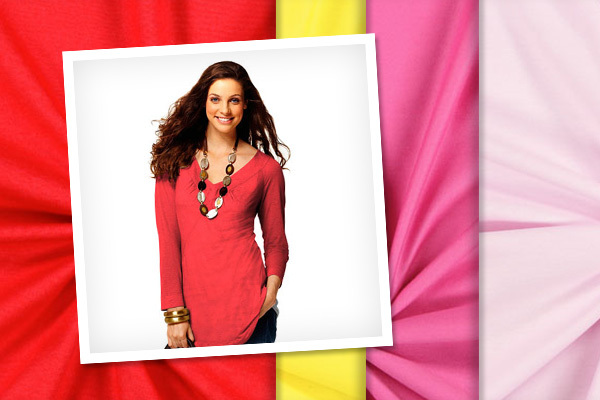 You’re sure to find what you’re after and can re-stock your wardrobes with jersey pieces for yourself or your family! 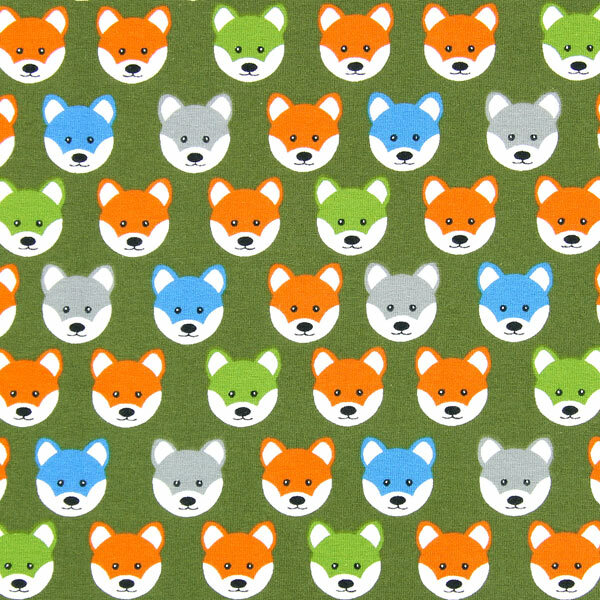 Do you have an abiding interest in keeping your ecological footprint as inconspicuous as possible? 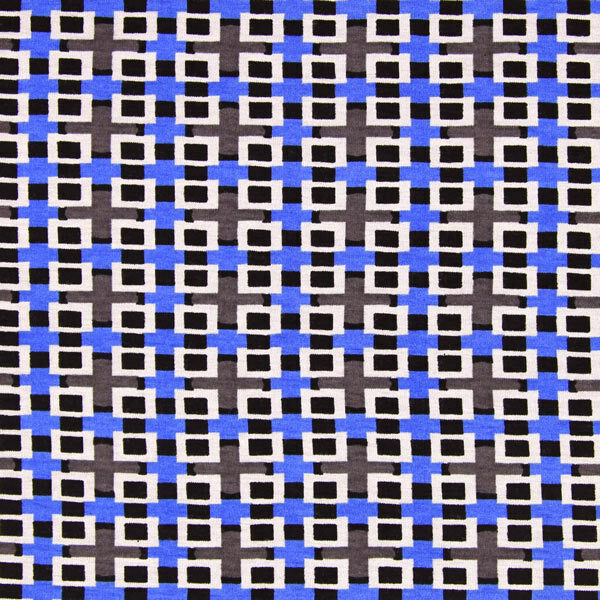 If so, our GOTS-certified jersey fabrics offer you an opportunity to supplement your wardrobe while remaining true to your principles. 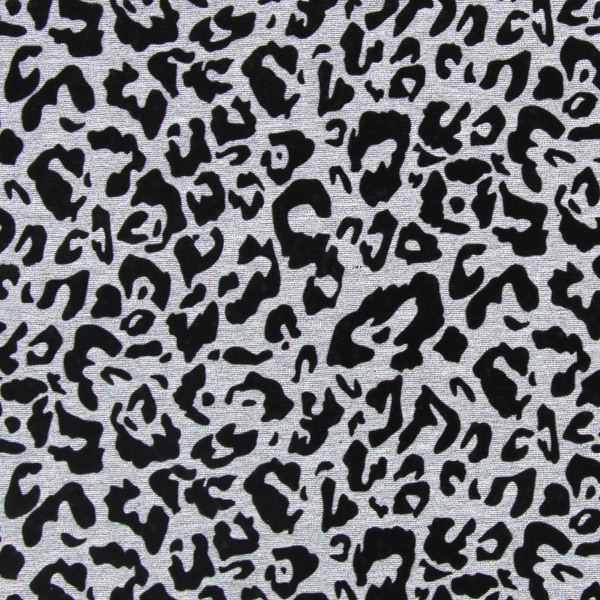 We offer these jersey fabric in nine colours. 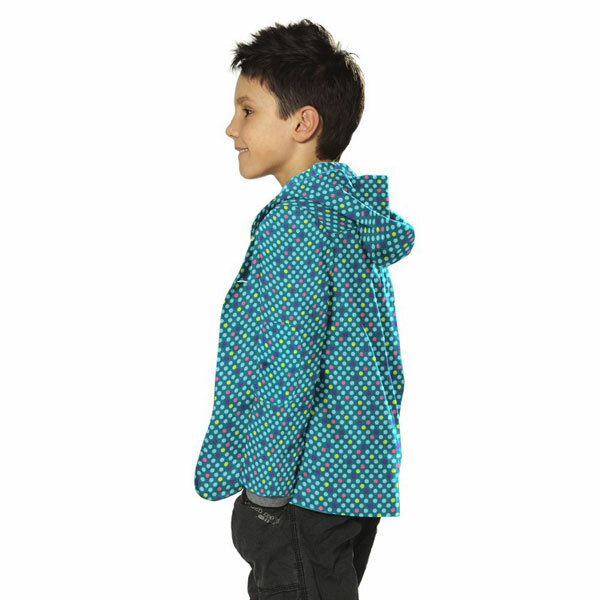 Combine them with printed, Ecotex-certified cotton jersey and you’ve got an item of clothing that you can dress your children in with a clear conscience! 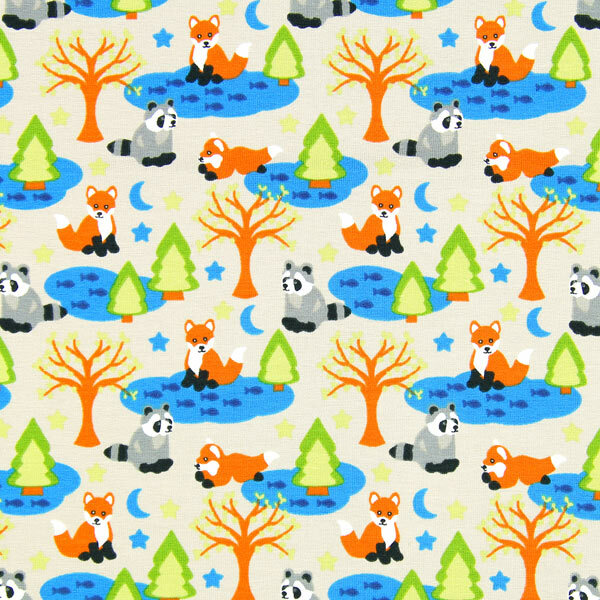 These jersey fabrics will win you over with their exclusive flocked print. 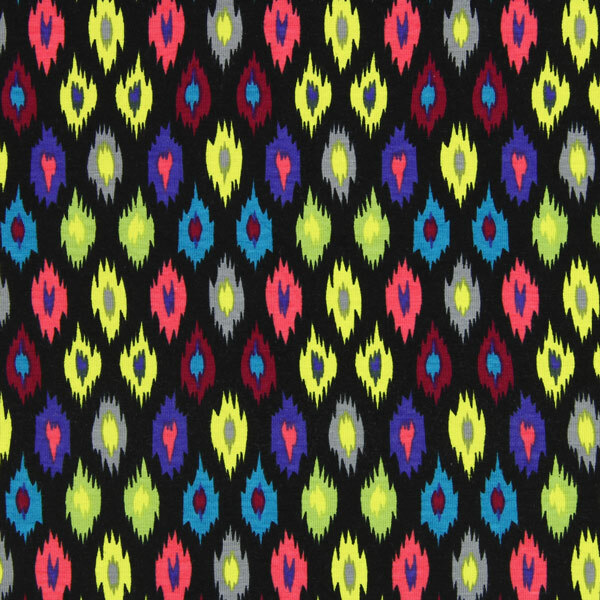 The flocking process involves applying millions of fibres, within an electrical field, to a fabric coated with adhesive, subsequently yielding a colourful pattern wherever the adhesive has been applied. 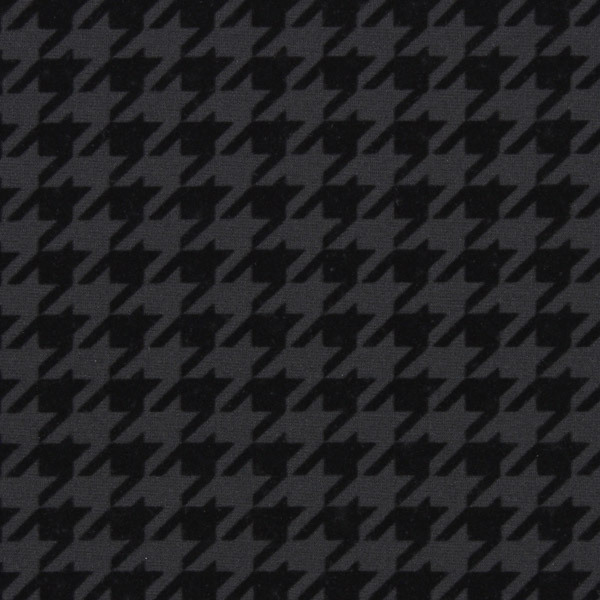 Our flocked jersey fabrics are all flocked in black and feel absolutely gorgeous. 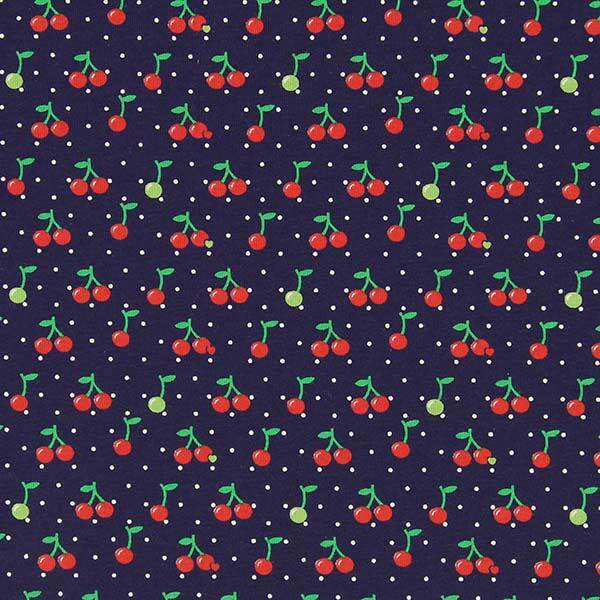 Make a new dress from this high-grade fabric and you’ll wear your favourite piece for a long, long time! 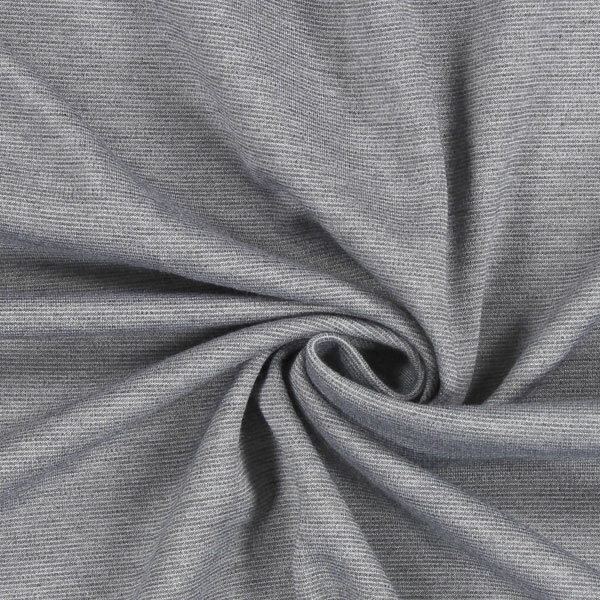 In addition to various cotton jersey and viscose jersey variants, we now also offer a solid-coloured jersey variant in a cotton and polyester blend. 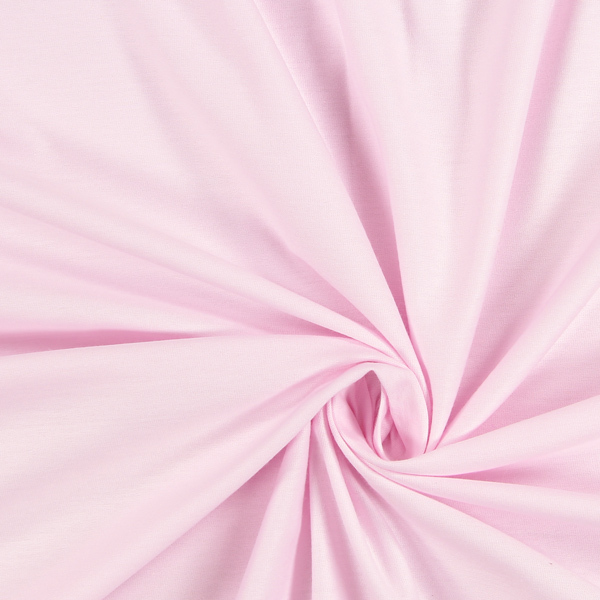 It will win you over with its gorgeous colours – and it’s so soft to the touch. 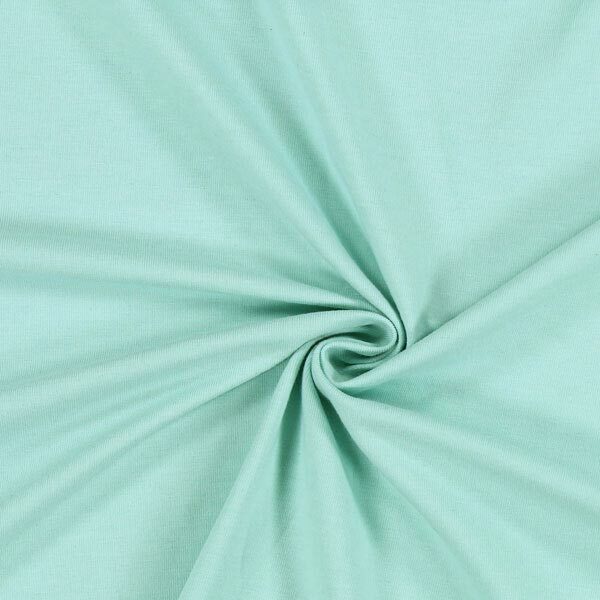 This new variant is great for making tops, skirts and dresses that are in keeping with the new season in terms of fashion and that pick up on the current pastel trend, to name but one. 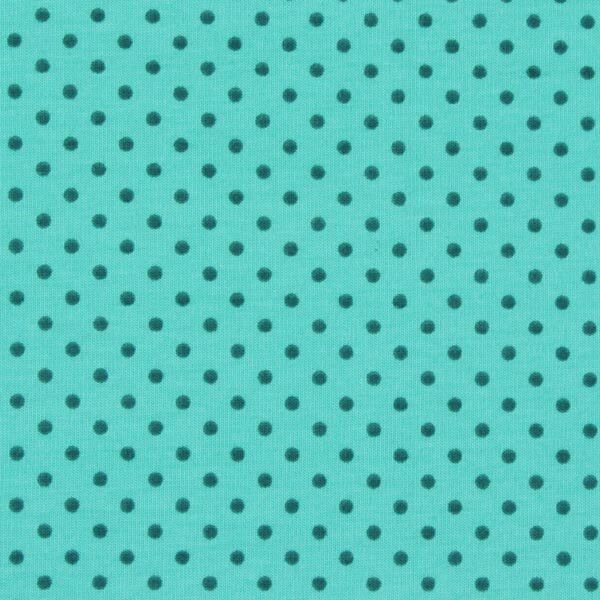 We’ve seen a few dots in our time, but our suppliers astonish us time and again with new colour combinations and dot sizes. 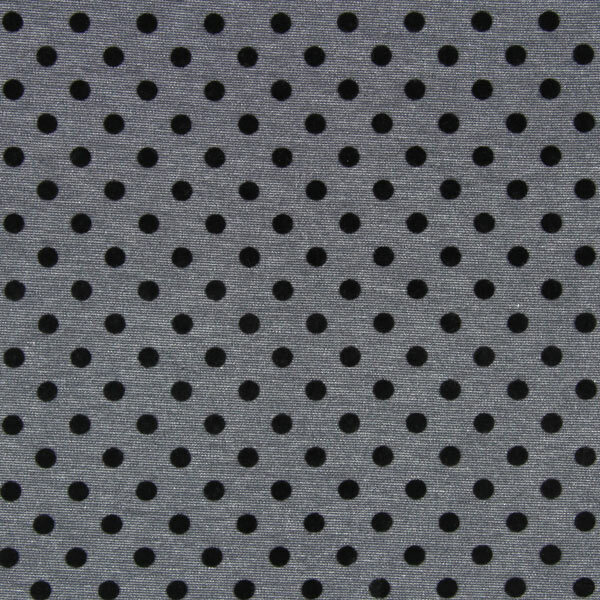 We’ve included twenty new colours for you in our range of dotted jersey fabrics. 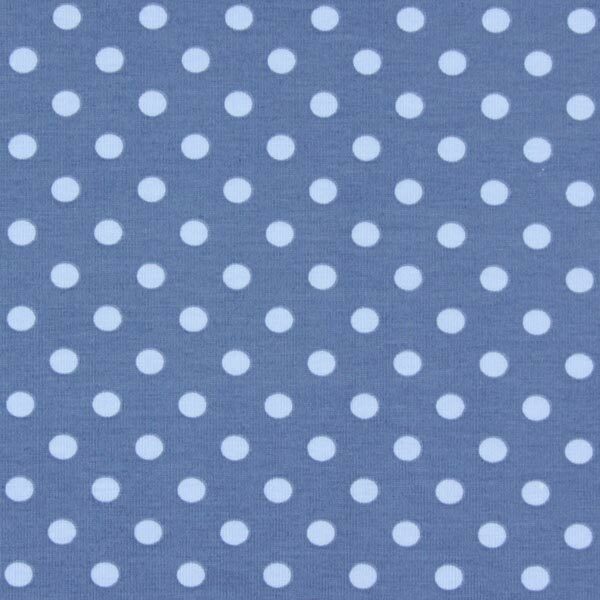 There’s something for every dotty fan here! 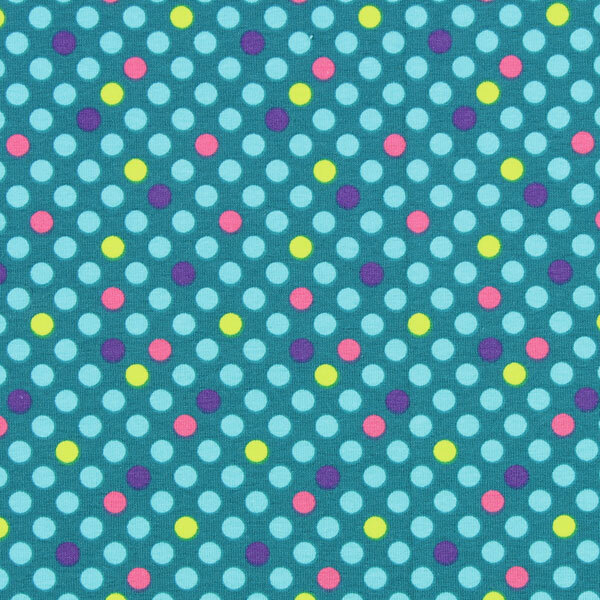 Do our dots do it for you, too?